Facebook advertising is quickly becoming one of the most popular paid traffic sources on the planet. There are over 3 million advertisers on the platform and it’s growing fast, with a 50% increase in the number of advertisers using Facebook ads from 2015-2016. 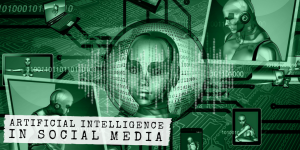 But if you’ve never used Facebook ads before, the learning curve can be steep. And because you’re paying to run ads while you’re learning, it can get very expensive very quickly. 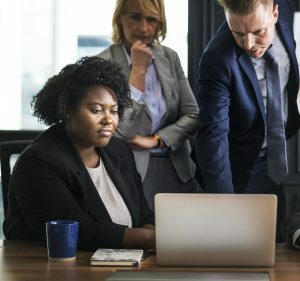 Many businesses can’t afford to go out and try a lot of tactics in the hope that they’ll find one that works before the marketing budget runs out. Thankfully, there are a few campaigns you can use to target the ‘low-hanging fruit’ first. These high ROI campaigns are easy to implement and deliver you the best bang for your buck when it comes to Facebook ads. 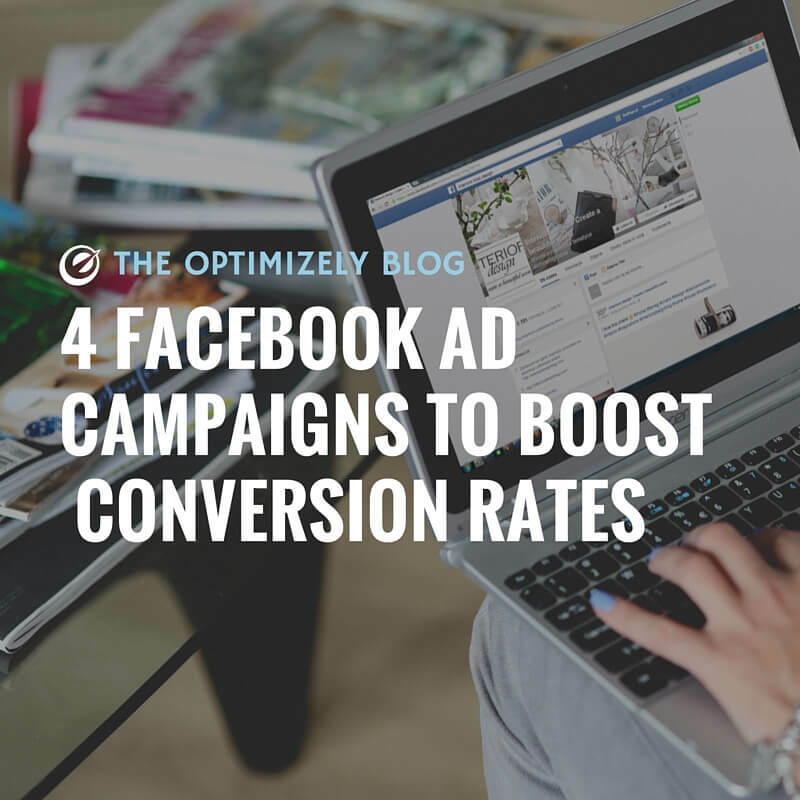 Here are four Facebook ad campaign ideas that will help increase your conversion rate and won’t cost a fortune to run. This campaign can be run for as little as a few dollars per day, and once it’s up and running it requires very little attention. What this campaign will do is turn more of your casual website visitors into email subscribers or leads. For the average site, 50% of website visitors will only visit one page before leaving. Rather than having the majority of your traffic visit your site anonymously and leave without subscribing, you can use Facebook ads to re-target them for a few days after they visit and greatly increase the chance of them turning into a new subscriber. When a visitor hits your website and consumes a piece of content (could be a blog post, video, audio, or anything else), they will be ‘pixelled’ by Facebook. 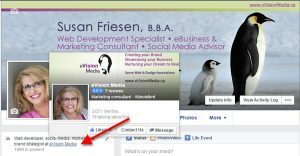 This allows you to retarget them with Facebook ads after they leave your site. If that person leaves your website without joining your email list, they’ll start seeing ads on Facebook promoting your eBooks, PDF’s, and other opt-in offers you have. This will last for 3-5 days depending on how you set it up. After that time, if they don’t click an ad and join your email list, they will stop seeing your ads until they visit your site again. That last CA is there so you can exclude people who’ve already subscribed to your list from seeing your ads. 3. When you go to set-up your ads, you’ll create an ad set targeting people who visited in the last 5 days, and EXCLUDING visitors in the last 3 days, as well as new email subscribers. The ad in that ad set will show one of your opt-in offers and link directly to the opt-in page. 4. 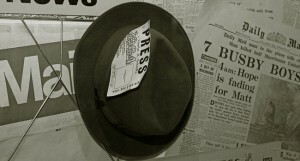 Next, you will want to create an ad set that targets your three-day website visitors CA. For this one, exclude visitors in the last day, and also your new email subscribers. The ad in this ad set will show a different opt-in offer and link to its opt-in page. This means that only people who visited your site two to three days ago will see this ad. 5. Finally, you’ll create an ad set that targets people who visited in the last day and excludes new email subscribers. The ad will show yet another opt-in offer. This means that people who visited in the last day will see this ad. Now you’ve got a Facebook ad campaign that shows different ads to your visitors across a span of 5 days after they visit your website. Tip: If you’re a regular Optimizely reader you’ll understand how effective personalization can be. 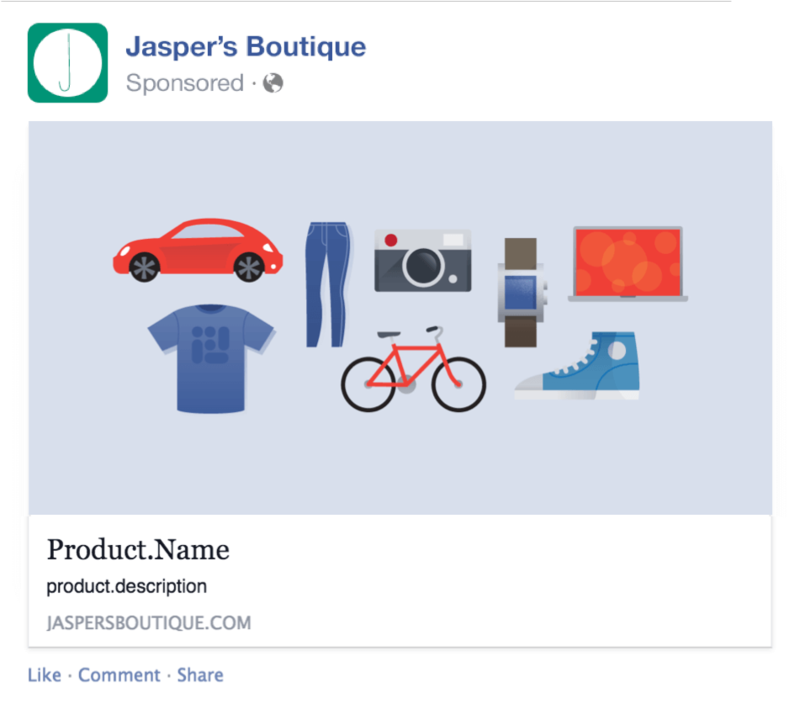 If you want to take this Facebook ad campaign idea to the next level, you can personalize your ads based on content categories. Instead of a single FB ad campaign, you could create campaigns based on the content category that visitors are interested in. You can then show ads specific to the category the reader viewed, which is an even more powerful way to increase conversions. The abandonment rate for online shopping carts can be as high as 72%, and it’s clearly a problem every e-commerce business is trying to solve. Most e-commerce sites are already using email to lower cart abandonment, but that doesn’t help with casual visitors that haven’t registered an account. That’s where Facebook ads can be a perfect supplement to your cart abandonment emails. Using this strategy, you’re going to use Facebook ads to retarget people who add items to their cart but don’t buy. These people will see Facebook ads encouraging them to complete their purchase for a few days after abandoning their cart. 1. First, upload your product catalogue to Facebook as a .csv file. This will allow Facebook to show ads containing the same products that people have in their abandoned shopping cart. 2. Next, you’ll need to modify your Facebook pixel to support dynamic ads. This allows your pixel to pass data back to Facebook about which products your leads have viewed. 3. Then you’ll need to set up dynamic ad templates. These allow you to configure what your dynamic ads will look like using variables that will be populated based on the data in your product catalog. 4. Run your dynamic ad campaigns. 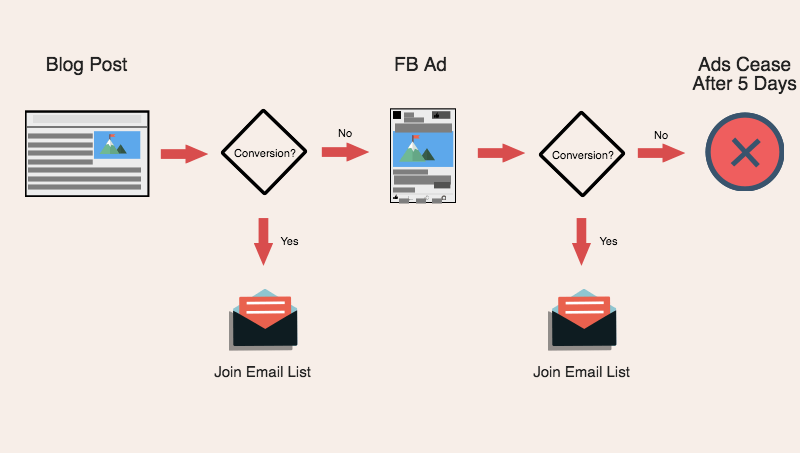 After you set up your dynamic ad campaigns on Facebook, your website visitors will automatically be eligible to see dynamic ads. You can reach people who have abandoned their carts by creating a Custom Audience based on the ‘Add to Cart’ conversion event and targeting those audience members. Tip: A great way to provide greater incentive for them to take that final step is to include a coupon code in the Facebook ad copy! This could be a free shipping offer, discount code, or anything you like. Webinars are one of the most popular and most effective ways to sell products and services online. But only about 50% of people who register for a webinar actually show up. This strategy will help you increase your attendance rate without requiring a big budget or a ton of effort. 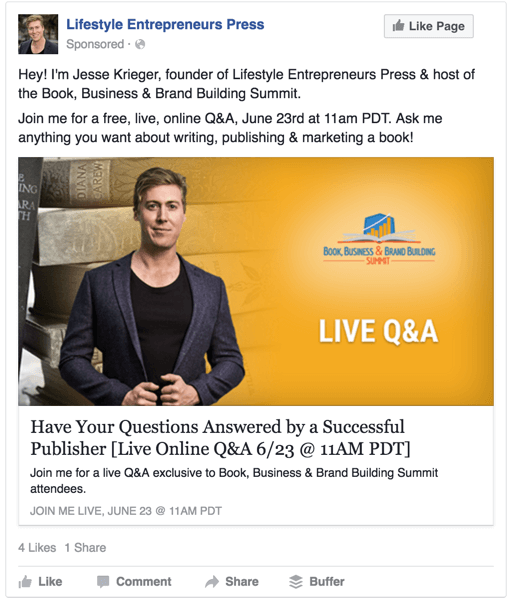 The idea behind this strategy is to use Facebook ads to remind people to attend your webinar. 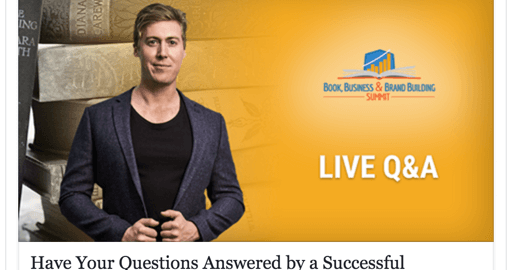 You show ads only to people who have registered for the webinar, and the ads simply remind them of when the webinar is taking place and what they are going to learn. 1. Create a Custom Audience (CA) containing people who have visited your webinar registration thank-you page (this means they’ve registered for the webinar). 2. Target that CA with an ad that shows the date and time of your webinar, and a few bullet points reminding people of the benefits of attending (what they will learn). 3. Run this ad right up until the start time of your webinar. 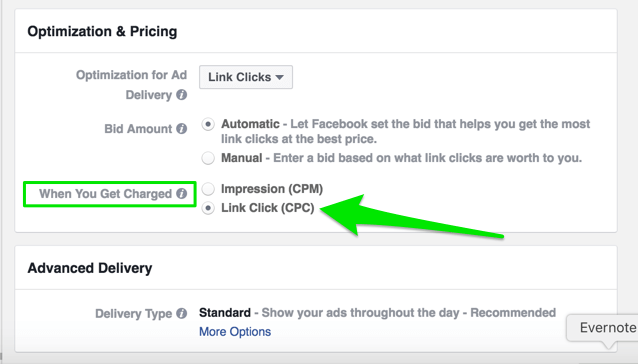 When you’re selecting when you get charged for your ads, select ‘Link Click (CPC)’. This means you only get charged by Facebook if/when someone clicks your ad. This is great because not many people will actually click the ad since it’s only a reminder of the upcoming webinar. There’s no compelling reason to click. Because you’re likely targeting less than 1,000 people, this simple Facebook ad campaign idea will only cost a couple of dollars per day and will help you convert more webinar registrants into live attendees. Just because you’ve got subscribers who don’t open your emails, doesn’t mean you can’t still reach them with your message. 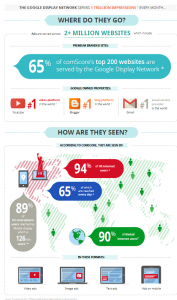 This campaign will help you reach more of your subscribers with important messages. It’s also great for re-engaging leads who may have gone cold over time. 1. First, you’ll need to export the list of subscribers who didn’t open your email. The process will vary depending on which email service provider you use, but basically you will want to look at the analytics for your email campaign and view the people who haven’t opened the email. Then you can export that list to a .csv file. 2. 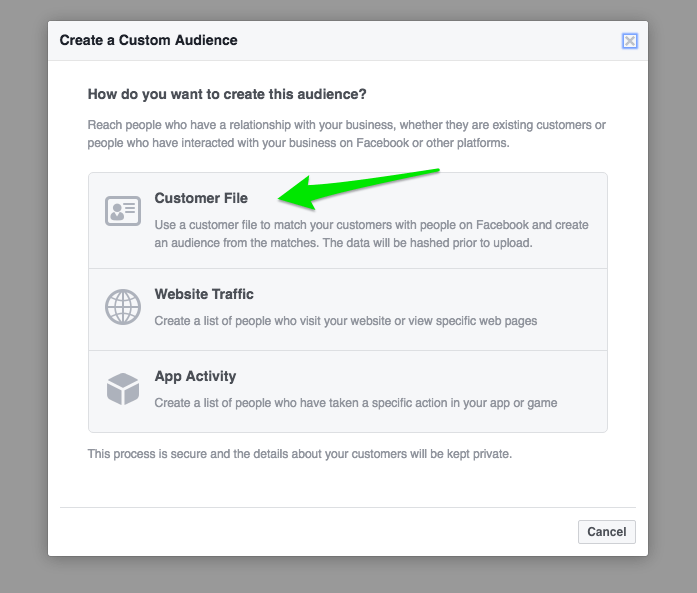 Then you can upload this list to Facebook as a new Custom Audience. 3. Once you’ve done that, it’s simply a matter of targeting that new Custom Audience with ads promoting the same message you were promoting in your email. The size of your target audience will depend on the size of your email list. I recommend having at least a few hundred people in your list of people who haven’t opened your email before using this strategy. That will ensure you have enough people in your Custom Audience to target with ads. Each of these Facebook ad campaign ideas can help you increase your conversion rates, it’s just a case of deciding which of them suits your business model best. 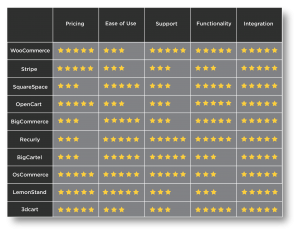 Which one will you try for your business? Or have you already implemented one of these strategies? Let me know in the comments below.